There scarcely was an underground comics world before Robert Crumb's classic solo first issue of Zap in 1968. 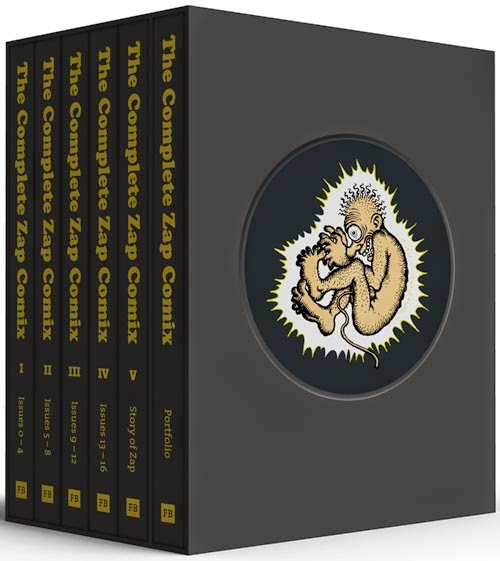 ByZap #2, he had begun assembling a Seven Samurai of the best, the fiercest, and the most stylistically diversified cartoonists to come out of the countercultural kiln. 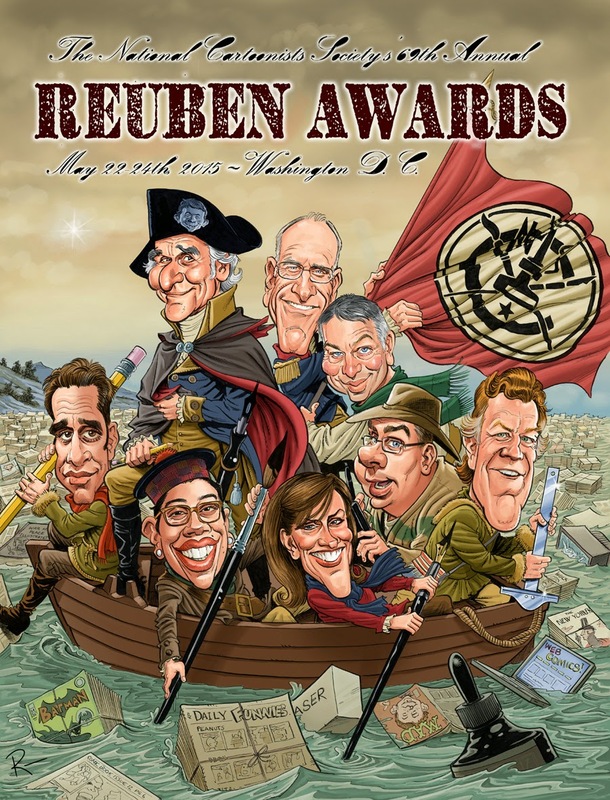 Members of the National Cartoonists Society will be receiving the official brochure for the 2015 Reuben Award Weekend (May 22-24, Washington DC) in their mailboxes in the next week or so. 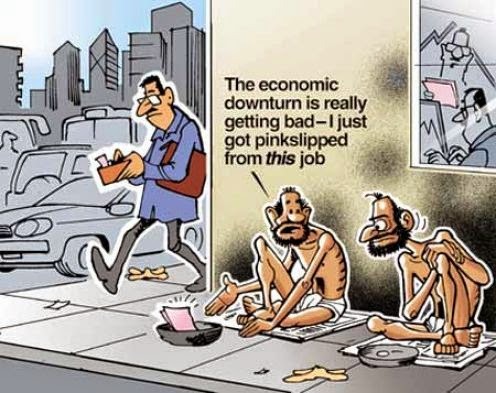 R K Laxman, India's best-known cartoonist, passed away on the evening of January 26, at the Dinanath Mangeshkar hospital in Pune, where he was on life support for the past few days. He was 93. Find more about Laxman on PRI. On this date thirty years ago (January 21, 1985 if you don’t have a calculator handy) Dan Piraro got out of bed early and hurried out to the front porch of his cheap little rental duplex on the outskirts of Dallas, Texas, to get the latest edition of the Dallas Times Herald. 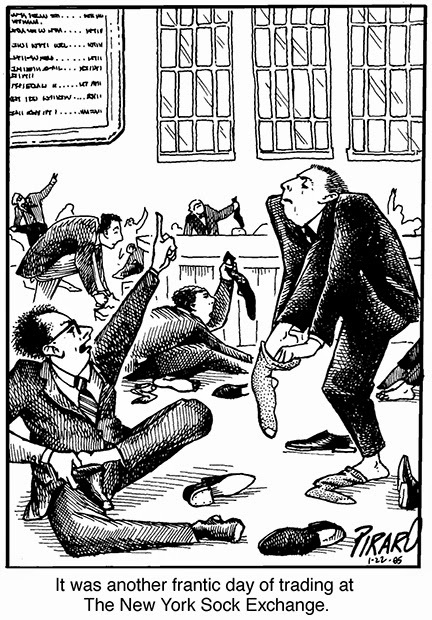 In it was the very first Bizarro cartoon ever published. If We Back Down On This, What’s Next? Ann Telnaes in The Nib. 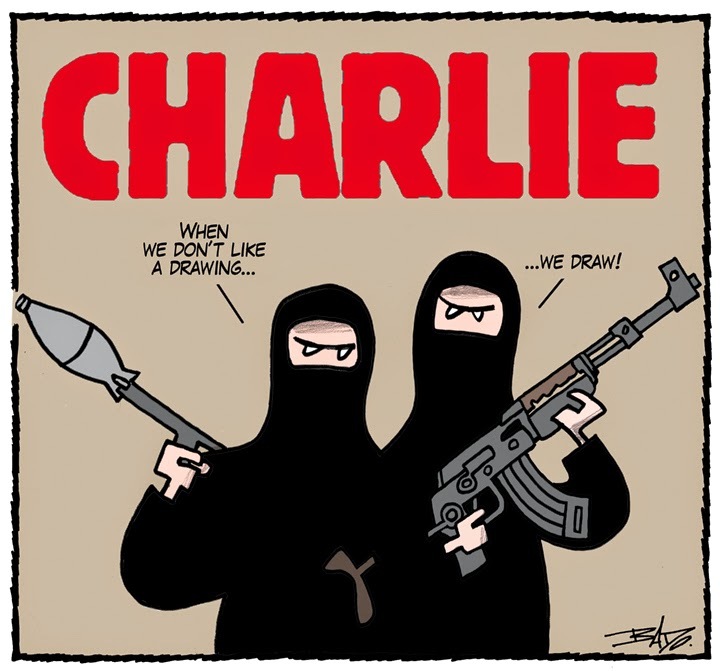 The Charlie Hebdo cartoons no one is showing you. Below are cartoons drawn over the past several decades by Cabu, one of the most emblematic cartoonists at Charlie Hebdo (if not the most). Cabu was murdered along with his colleagues this past week. He was 77 years old. This cartoon by Cabu criticizes racial profiling, specifically discrimination by the French police against immigrants from North Africa and people of African descent. The caption reads: "No to racist identity checks." Published originally in Le Droit on Saturday, January 10, 2015. 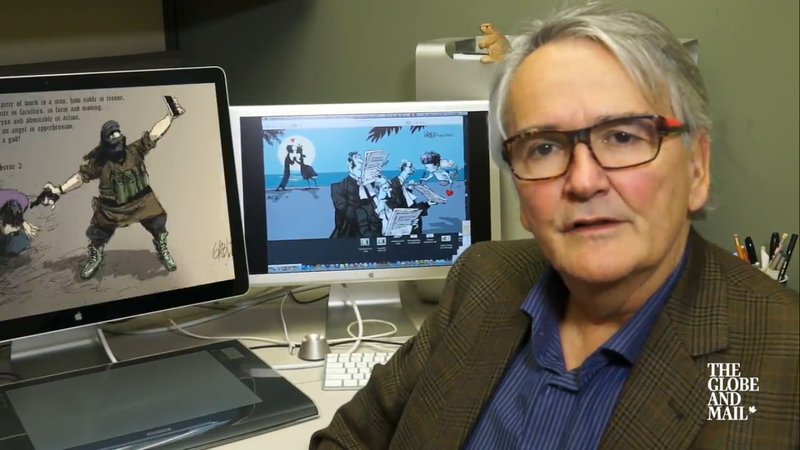 You can find more about "Charlie Hebdo" in an interesting article by Olivier Tonneau here. For longtime LeDroit editorial cartoonist Guy Badeaux, a.k.a. 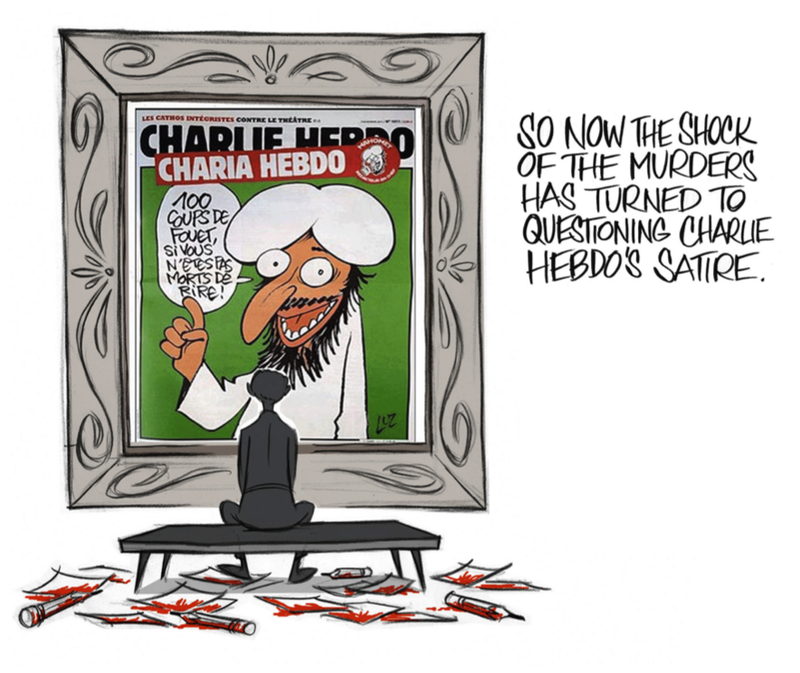 Bado, this week’s terror attack on the Paris offices of the satirical magazine Charlie Hebdo was personal. 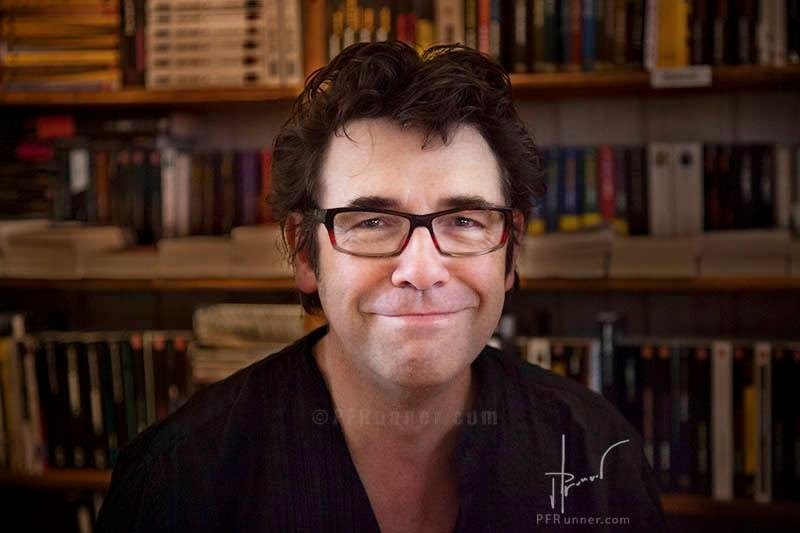 Not only was his profession targeted once again for violence, but he also lost a good friend in the attack: Bernard Verlhac, best known by his pen name, Tignous. Badeaux spoke to the Citizen’s Andrew Duffy. 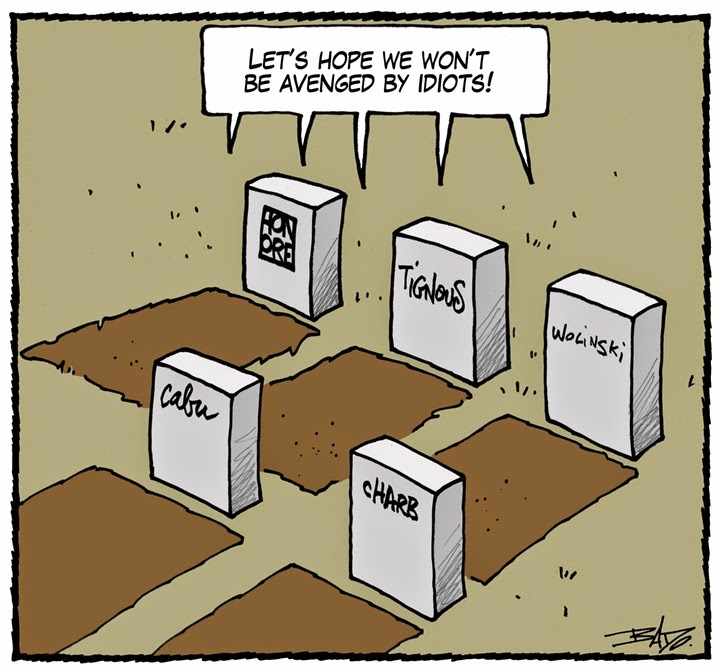 The whole cartooning profession has reacted to the attack on the satirical magazine "Charlie Hebdo". From the ECC Cartoonbooks Club website. 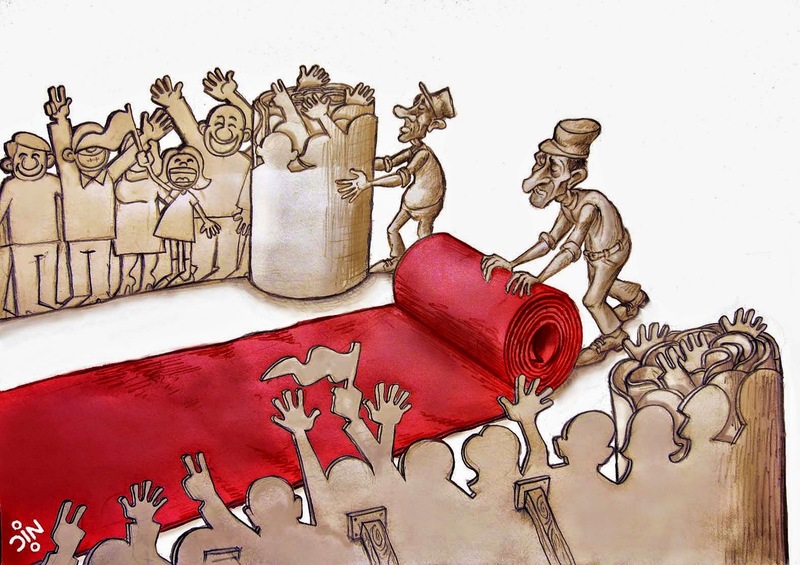 The Musée des Maîtres et Artisans du Québec will hold an exhibition of the cartoons and illustrations of Behzad Ghafarizadeh and Oleg Dergachov entitled ARToon from January 8th to February 8th 2015 in Montreal. The exhibition includes 50 cartoons and illustration of the two artists. Political satire will increasingly be pixelated. 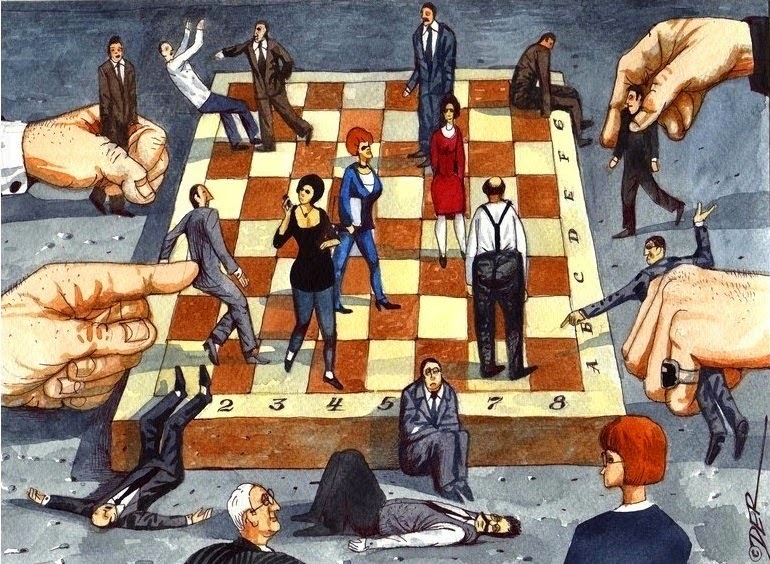 In recent years cartoonists around the globe have faced special challenges. 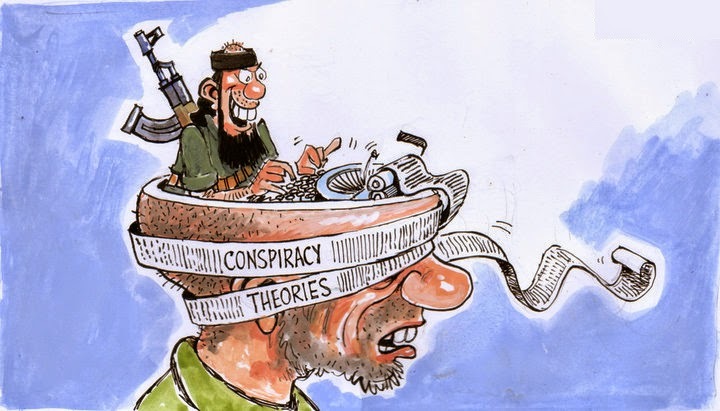 With newspapers downsizing in the West and religious sensitivities growing in the East, it is increasingly hard for a cartoonist to know where to draw the line. 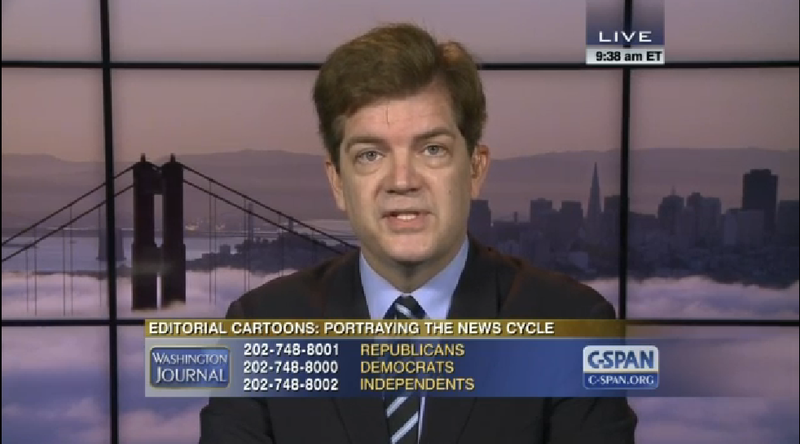 Sacramento Bee editorial cartoonist Jack Ohman talked about the role editorial cartoonists play in expressing public opinion about the news cycle. Topics included the top issues portrayed in cartoons in 2014. 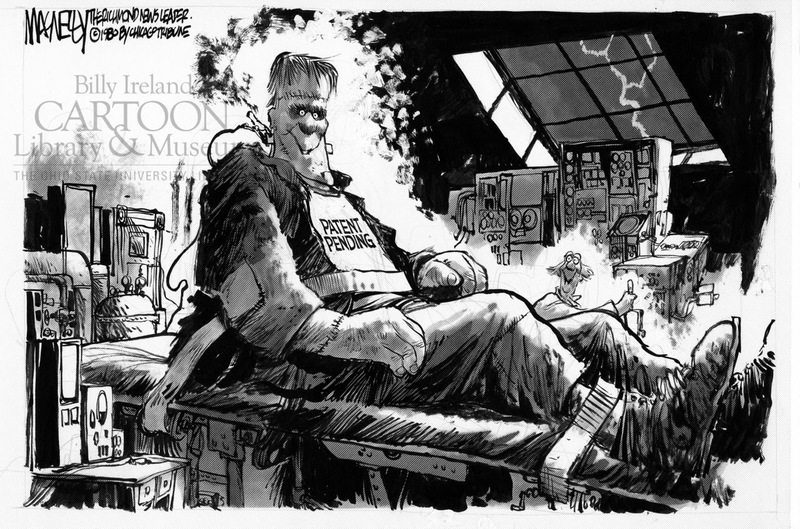 Susie MacNelly, widow of award winning cartoonist, Jeff MacNelly, has donated his collection of original art and papers to The Ohio State University Libraries’ Billy Ireland Cartoon Library & Museum (BICLM).